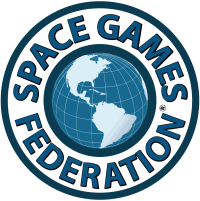 The EqualSpace Challenge (the “Challenge”) is sponsored by the Space Games Federation (the “Federation”). The Challenge is governed by these Official Rules & Guidelines, as well as by the laws of the State of California and applicable United States federal law, without regard to any conflicts of laws principles. The Challenge is void where prohibited, licensed, taxed or restricted by law. By entering and/or participating in the Challenge, each Contestant agrees to abide by of these Official Rules & Guidelines and by the decisions of the Federation with respect to the interpretation and application hereof, all of which are final and binding on all matters pertaining to the Challenge. The objective of the Challenge is to develop a completely new, original game that can be played by Teams in either zero gravity or microgravity (or both), that will be fun to play and fun to watch. Name The Game: Each Contestant must submit a name for his or her game. The name selected must not have already been chosen by any other Contestant and may not infringe or violate the rights of any third party, as determined by the Federation, in its sole discretion. Determine Playing Field: Each Contestant must identify the appropriate playing field for his or her game (i.e., Micro Gravity Plane, International Space Station, The Moon, Mars or Beyond). Detail The Game: Each Contestant must identify who plays on the Team (Maximum of 4 players per Team in Micro/ZeroGravity; up to 10 players based in Space Games Federation Mission Control Gravity). Each Contestant must identify any particular specialty or skill that each Astrolete might need to possess in order to succeed. Detail The Rules: Each Contestant must describe how the game is played and scored, including by detailing any penalties imposed on the Astroletes and how disputes are resolved. Determine Objective: Each Contestant must identify the game’s objective(s), including by identifying what is required to “win” the game. Fan Engagement: Each Contestant must identify how and why the game will encourage fan (viewer) engagement. Submissions may be submitted through a video posted on YouTube, Vimeo or other website approved by the Federation (no longer than 7 minutes in duration), or by means of storyboards, JPEGs, PDFs or other means reasonably acceptable to the Federation, in its sole discretion. Submissions must include a written explanation of the game or sport entry, a list of rules, equipment, list and functions of each Astrolete on the Team, and the ultimate objective(s) of the game. Submissions must include still and/or moving image documentation of the game development creative process. All Submissions must be completed by a date to be established by the Federation and announced on the Website. Submissions must be submitted to the Federation through the Website or other social media sites, as announced by the Federation from time to time. The Federation will use a panel of industry experts, selected by the Federation, in its sole discretion, to evaluate those Submissions that advance far enough in the Challenge. The members of the panel will be announced by the Federation at an appropriate time. The Federation reserves the right to change the composition of the panel from time to time. Each Contestant acknowledges and agrees that his or her Submission(s), upon transmission to the Federation, becomes the property of the Federation and will not be returned to the Contestant. Contestants are encouraged to retain copies of their Submissions. Each Contestant grants to the Federation the right to display, reproduce, perform, promote and otherwise use his or her Submission, and all components thereof, in connection with the Challenge in any way that it sees fit, without notification to or further consent of the Contestant. Yes – These Submissions will advance to Stage 2 of the Challenge. Maybe – These Submissions are those recognized as having potential. The Federation reserves the right to ask the Contestant questions about the Submission and, depending on the responses received, to designate the Submission as either “Yes” or “No”. No – These Submissions will not advance and will not be considered further as part of the Challenge. Depending on the nature, number and quality of the Submissions received, the Federation reserves the right to separate Submissions by Field of Play (i.e., Zero G, International Space Station, the Moon, Mars or Beyond). All Submissions that advance to Stage 2 will be presented on the Website’s Voting Page for public view and voting. The Federation reserves the right to discard any votes that are submitted by improper or illegal means. The Stage 2 Submissions (per Field of Play (i.e., Zero G, International Space Station, the Moon, Mars or Beyond)) that receive the most votes from the public (up to 25 will advance to Stage 3. Each Stage 3 Contestant will be given the opportunity to present his or her Submission to a panel of experts, with each being assigned an appropriate mentor to assist them in refining their Submission. The top three Submissions selected by the panel of experts in Stage 3, in their sole discretion, will advance to Stage 4. Public voting will determine the First Game Ever to be Organized and Played in Zero/MicroGravity for a Season of Game Play, with the Submission that receives the most votes from the public being declared the Winner. Following the completion of the Challenge, the Federation will endeavor to form Teams and Leagues, as well as Fantasy Leagues. Following the completion of each Stage of the Challenge, successful Contestants will be notified by e-mail that they have advanced to the next Stage within 15 days of the conclusion of that Stage. This process will be repeated until all Stages have concluded and a Winner has been selected. All Contestants who successful complete Stage 1 Pre-Judging will be required to: (1) provide his or her full mailing address; (2) sign and return a release of liability, declaration of eligibility, and/or, where lawful, a publicity release permitting the Federation and its affiliates to use his or her name, voice and likeness for advertising and promotion (without further compensation), in the Federation’s sole discretion; (3) sign an assignment that transfers all rights in and to his or her Submission to the Federation or its designee; and (4) verify his or her Social Security Number or other taxpayer identification number. If any Stage 1 Contestant does not respond within the required time period or is not willing, or is unable, to comply with the foregoing terms or these Official Rules & Guidelines, that Contestant will forfeit his or her right to advance to the next Stage of the Challenge. The Federation reserves the right to award additional Rewards at any time, in its sole discretion. No Rewards are transferable or exchangeable. No substitution of any Reward by any successful Contestant is allowed. Reporting and payment of any federal, state, local, or other taxes, fees, customs, duties, VAT, or other amounts that may be owed in connection with any Reward are the sole responsibility of the successful Contestant. The Challenge is open to any natural person who is 13 years or older at the time of entry, or any group comprised of more than one person who otherwise qualifies under this paragraph. Any Contestant who is under the age of 18 (19 in AL, DE or NE, 21 in MS) may participate in the Challenge with verified written permission from a parent or guardian or verification that they are an emancipated minor. Each Contestant can submit up to five (5) entries. Officers, directors, and employees of the Federation and/or its parents, subsidiaries, affiliates, divisions or agents (including, but not limited to, advertising, promotion and production agencies) and members of their immediate families (including spouse, parents, siblings, grandparents, grandchildren, step-children, step-parents and in-laws), or anyone else living in the same household as the Contestant, are not eligible. The Challenge is also not open to anyone who lives in a country or other jurisdiction where the Challenge or any of its rules or requirements, or any of the obligations of the Contestant, are or would be illegal or unenforceable. Normal internet access and usage charges imposed by the Contestant’s online service provider may apply. In addition, any registration and/or Submission that is incomplete, or that has been tampered with or altered in any way, is not eligible and is void. In the event of a dispute, a potential winner may be required to provide proof that he or she is the person who submitted the Submission in question. It is the sole responsibility of each Contestant to notify the Federation in the event of a change in e-mail address or other contact information. By entering the Challenge, each Contestant certifies that he, she or they meet the eligibility requirements as set forth in these Official Rules & Guidelines. The Challenge is not open to anyone under the age of 13, nor is it intended or designed to attract children under the age of 13. By participating in the Challenge, each Contestant affirms that he or she is at least 18 (19 in AL, DE or NE, 21 in MS) years old, or an emancipated minor, or possesses written legal parental or guardian consent, and is fully able and competent to enter into the terms, conditions, obligations, affirmations, representations, and warranties set forth in these Official Rules & Guidelines. The Federation reserves the right, in its sole discretion, to disqualify any Contestant that the Federation determines: (1) has tampered with the registration process or the operation of the Challenge or the Website; (2) has acted in an unsportsmanlike or disruptive manner or with the intent to annoy or harass the Federation or any other person or entity; (3) has not satisfied all of the requirements for entry in the Challenge; or (4) to be otherwise ineligible under, or in violation of, these Official Rules & Guidelines. Any attempt by a Contestant to commit any of the above-listed acts of misconduct may be a violation of civil or criminal law and the Federation reserves the right to seek damages from such Contestant to the fullest extent permitted by applicable law. Any Submission or portion thereof that is, in the Federation’s sole discretion, obscene, profane, lewd, defamatory, or otherwise violates or infringes (or may violate or infringe) any copyright, trademark, or other proprietary right of any person, living or deceased (including, but not limited to, rights of privacy or publicity or portrayal in a false light) or entity, or is otherwise objectionable, in the Federation’s sole discretion, will not be considered and may disqualify the Contestant and his or her Submission. By entering the Challenge, each Contestant represents and warrants that he or she has the right to grant any and all rights provided herein, free and clear of all claims and encumbrances, without violating the rights of any other person or entity. Each Contestant further represents to the Federation that: (1) the Submission is original with the Contestant and was not copied from any other source; (2) neither the Submission nor any right, title or interest therein is subject to any lien, claim, license, royalty arrangement or dispute of any kind or nature; (3) the Submission does not and will not contain any matter that infringes upon or violates any copyright, trademark, trade secret, or other proprietary right of a third party, or that is libelous, injurious, violates any right of privacy or publicity, or that otherwise violates any law; and (4) to the best of the Contestant’s knowledge, no claim of any such infringement or violation has been threatened or asserted against the Contestant, directly or indirectly. Each Contestant (each, a “Releasor”) releases and holds harmless the Federation, the sponsor(s) of the Challenge or any Reward, any other persons or entities involved in the Challenge, each of its and their respective parents, subsidiaries and affiliates, and each of its and their respective officers, directors, employees, agents, sponsors, successors and assigns (collectively, the “Released Parties”) from any liability for any losses, damages or costs of any kind whatsoever (“Losses”) arising out of or resulting from (1) his or her registration or inability to register for the Challenge; (2) lost or delayed data transmission; (3) his or her submission or inability to submit any entry; and/or (4) any other error in the administration of the Challenge, due to any cause, including, but not limited to, any technical malfunction, failure, interruption or defect of the Website or any network, equipment, or software, or due to human error, or any combination of the any of the foregoing. Each Releasor further releases and holds harmless all Released Parties any from liability for any Losses arising out of (a) any determination by the Federation to disqualify the Releasor for any reason, including, but not limited to, a violation of these Official Rules & Guidelines or applicable laws; (b) the acceptance, delivery, receipt, possession or use of a Reward; (c) any injury or damage to any computer or other device related to or resulting from Releasor’s participation in or downloading or uploading of any materials in connection with the Challenge; and/or (d) any conditions arising from events beyond the Federation’s control. Each Releasor understands and agrees that, as a condition of his or her participation in the Challenge, such Releasor is waiving any rights that he or she may have under Section 1542 of the California Civil Code. Section 1542 provides that: “A general release does not extend to claims which the creditor does not know or suspect to exist in his favor at the time of executing the release, which if known by him must have materially affected his settlement with the debtor.” With full awareness and understanding of the above provision, and after having an opportunity to confer with legal counsel concerning the meaning and effect of Section 1542, each Releasor hereby waives all rights which may be provided by the above provision and intends, by accepting these Official Rules & Guidelines, to assume the risk of then-existing but as yet unknown claims. WITHOUT LIMITING THE GENERALITY OF THE FOREGOING, NEITHER THE FEDERATION NOR ANY OF THE RELEASED PARTIES SHALL BE LIABLE FOR ANY SPECIAL, INCIDENTAL, INDIRECT, PUNITIVE, EXEMPLARY, OR CONSEQUENTIAL DAMAGES ARISING OUT OF OR RELATING TO THE CHALLENGE, HOWSOEVER CAUSED, WHETHER ARISING BY STATUTE, TORT, CONTRACT, OR OTHER LEGAL THEORY, AND REGARDLESS OF WHETHER THE FEDERATION OR SUCH RELEASED PARTY WAS ADVISED OF THE POSSIBILITY OF SUCH DAMAGES. ALL SUCH DAMAGES ARE HEREBY DISCLAIMED AND EXCLUDED. Each Contestant agrees to defend, indemnify and hold harmless the Federation and its directors, officers, employees, agents, sponsors, successors and assigns from and against any and all claims, demands, suits, proceedings, liabilities, judgments, losses, damages, expenses, and costs (including, but not limited to, reasonable attorneys’ fees) assessed against it or incurred by it, directly or indirectly, with respect to or arising out of: (1) the Contestant’s failure to comply with these Official Rules & Guidelines or any other rules or instructions related to the Challenge and any events related to it; (2) the Contestant’s breach of his or her obligations under these Official Rules & Guidelines; and/or (3) the Contestant’s negligence, gross negligence or willful misconduct. By entering the Challenge, each Contestant grants to the Federation the right to publish such Contestant’s name, image, and city, state and country of residence, both online and in print, in connection with the administration, promotion and marketing of the Challenge, without additional compensation, except to the extent prohibited by law. The Federation reserves the right, in its sole discretion, to cancel, modify, suspend or terminate the Challenge at any time for any reason, including, but not limited to, any cause that affects the administration, security, fairness, integrity or proper conduct of the Challenge. Any delay in the performance of any of the duties or obligations of the Federation caused by an event outside its control will not be considered a violation of these Official Rules & Guidelines, and the time required for performance will be extended for a period equal to the period of such delay. Such events will include, but will not be limited to, acts of God, acts of government or quasi-governmental organizations, acts of a public enemy, acts of terrorism, insurrections, riots, injunctions, embargoes, fires, explosions, floods, or any other unforeseeable causes beyond the control and without the fault or negligence of the Federation. Nothing contained in these Official Rules & Guidelines or in any of the Challenge materials should be construed as an endorsement by the Federation of any third party product or service. The name of the Winner and all Reward recipients will be posted on the Federation’s website within thirty (30) days of the completion of the Challenge. The Federation reserves the right to change these Official Rules & Guidelines at any time and from time to time. If that should happen, the Federation will post the changed Official Rules & Guidelines on the Website so that Contestants, potential Contestants and the public will always be able to understand the terms and conditions that apply to the Challenge.